Now back on the NYSE, Burger King (BKW) shares are again available to the public. This comes after 3G Capital’s 2010 purchase of the company took it away from public trading. 3G Capital owns almost 244 million of Burger King’s 350 million shares, or nearly 70% of the company. 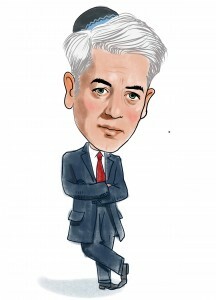 The story gets juicier; Bill Ackman picked up 42 millionshares with Pershing Capital Management LP valued at about $635 million. Will 3G’s sale and Ackman’s bet precede a propelled Burger King? Restaurant IPOs have been hot recently: The IPO for Dunkin’ Brands (DNKN) opened at $19 a share. The company’s shares now trade at around $35. While the Burger King price is settling, hedge fund activity for the stock is not. Only 16% of the company’s shares are available to the public. This differs from other restaurant companies; Yum! Brands (YUM), holder of Kentucky Fried Chicken, Taco Bell, and Pizza Hut, is less than 28% hedge fund owned. Yum! Brands has had some significant hedge fund purchasing activity of its own as Christopher Medlock James’s PartnerFundManagement upped its total holdings of the company to 1.2 million shares. Retail-eatery businesses fundamentally need to maintain high margins in order to stay afloat. Yum! Brands, Dunkin’ Brands, and Chipotle (CMG) all maintain net margins of between 9% and 11%. Management needs to cut costs while maintaining a loyal customer base. Chipotle generates repeat visits by having a small menu that it prepares with high-quality ingredients, lots of flavor, and directly in view of customers. Dunkin’ Donuts franchises prepare all hot food in a single console and sell coffee to most customers that walk in–a positive driver of margins. Burger King has had trouble constructing a novel customer experience- so why has it attracted investment from the likes of Bill Ackman? We see 3G Capital’s move to sell 29% of Burger King in April as a sign that major changes are indeed on the way. The company has altered its menu and started store renovations to stake out a part of the “burger market” inevitably dominated by McDonald’s (MCD). In our view, branding and advertising are more than half the battle in swaying customers from choosing eatery X from eatery Z. Novel advertising campaigns can revitalize eateries like Domino’s (DPZ), allowing demanding buy-hold funds like Andy Brown’s CedarRockCapital to maintain a nearly 10% stake in the company with 5.7 million shares. The question remains whether investors should jump ship from Domino’s, Yum! Brands or McDonalds to Burger King. McDonald’s, Domino’s and Yum! Brands, after all, are trading at a more attractive forward P/E (below 19) and price/sales (below 2.5) than Chipotle. All of these companies have a more steady business than Burger King. There is also significant hedge fund interest in McDonald’s and Yum Brands- nearly one out of every 10 hedge funds own these two stocks (see the list of hedge funds in MCD). After management was shaken up in 2010 with a laundrylist of changes, why are we not seeing a Burger King resurgence? Until Burger King releases positive earnings and a successful rebranding, we’re siding with 3G’s sale more than Bill Ackman’s wager in the company.